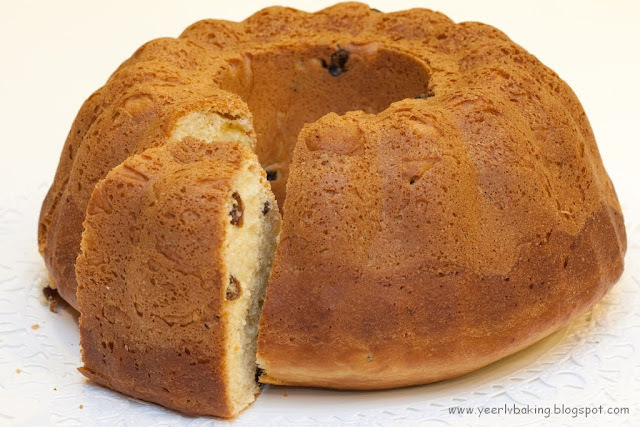 I don't know if I have tried this cake-bread before. Where can I find it in the US? sorry as i dun know where to get this bread, never see them in the stores nearby. 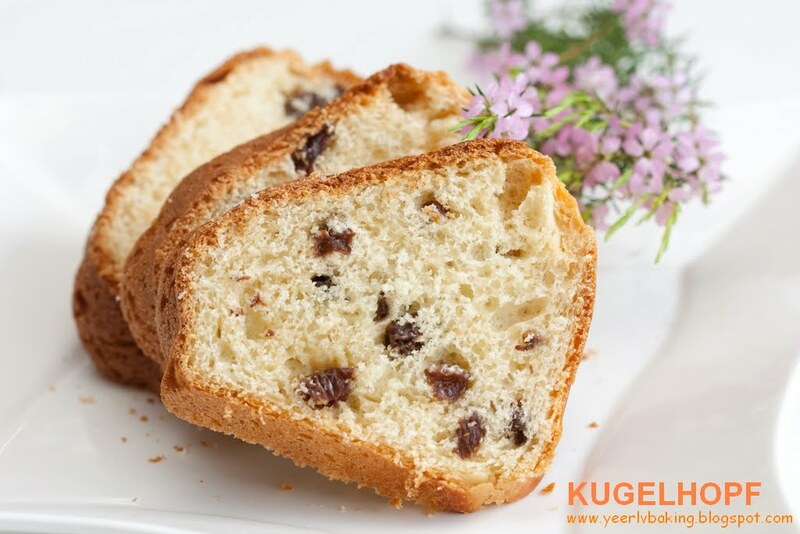 I baked the bread as i was attracted by the pic of kugelhopf, it's such a beautiful bread. Hi,Tkz for visiting my blog. It's a bread actually and it tastes a bit of cake like. 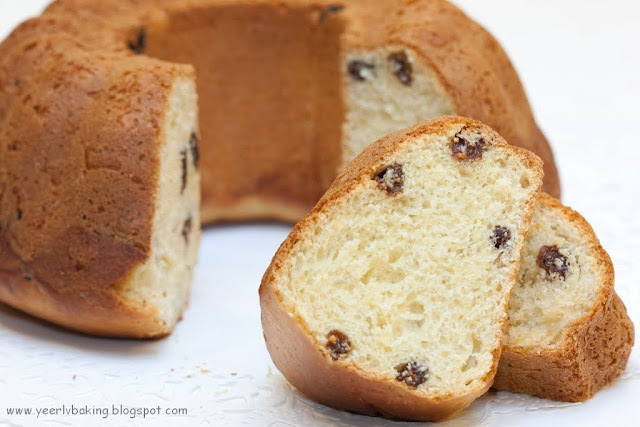 I just love raisins in breads! This sure look good. I think I understand what you wrote :) I hope to learn to bake bread and cakes. So far, I'm making small things like cupcakes. Thanks for visiting. I think i shud really put up the translator in my blog. btw, u have a great blog, very informatic.